A year on from introducing the concept, NetApp is still very much about the data fabric and what it means for the hybrid Cloud movement. The company’s vision is that there will never be just one Cloud, but many disparate Clouds. 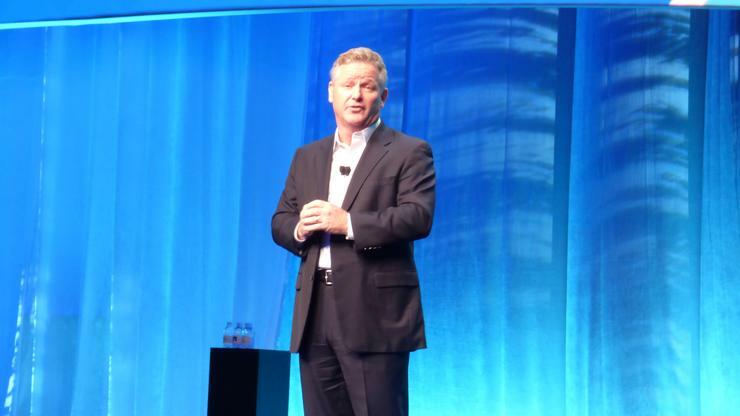 NetApp is banking on being the Cloud agnostic storage vendor of choice to partner with. NetApp vice-president of Cloud solutions, Phil Brotherton, said when the company talked about the data fabric for the first time in 2014, it had talked a lot about concepts, but now it is very real. “The data fabric is real, it’s exciting and is providing a lot of value to our customers, he said. “When you think about a data fabric, think about it from a customer point of view. “It’s not hard to imagine a world where customer data is an asset sitting on acompany’s books [as an asset]. It’s not quite there yet but it is not hard to picture that happening. “The trust level that consumers will have to have of the people that hold their data is going to be huge. He claimed despite being a 24-year-old company, NetApp had the spirit, passion and energy of a start-up. Salmon said the purpose of the conference was for partners, customers and NetApp employees ton listen and learn from each other all around great customer outcomes. He then introduced the company’s new chief executive, George Kurian, said that data was at the heart of the digital revolution. Data that is used for insight and competitive advantage , data that is used to make business processes better and data that needs to be governed, secured and managed because it is the responsibility of your business. To do so, you need a hybrid Cloud architecture that is the defining architecture for the next era of IT. By combining the flexibility and capability of the Cloud with the data management capabilities of NetApp, we believe we are uniquely positioned to help customers capitalise on the business opportunities that the digital era gives them. In all of the architectural discussions around data management, the Cloud is the most relevant and the longest lasting because the Cloud allows you to connect capability as digitised services to get flexibility in your infrastructure and reach customers where they are efficiently. NetApp vice-president product solutions and marketing, Lee Caswell, said that for NetApp, the data fabric was all about enabling partners and their customers. “We are not pushing customers into the Cloud but we are helping them on their time horizons. It’s important that we allow you the freedom to engage with the Cloud given the recent huge investments in commodity Clouds,” he said.